The report places no legal obligation on ministers, but is likely to add indirectly to the pressure on Saudi Arabia and the United Arab Emirates(UAE) to seek a way out of the war in Yemen through negotiation, rather than further military offensives to dislodge Houthi rebels in the capital Sana’a and the port city of Hodeidah. The “Combating BDS Act of 2019” is embedded as Title IV within the ‘‘Strengthening America’s Security in the Middle East Act of 2019’’ (S.1). If signed into law, S.1 would allow states to withhold government funding from entities unwilling to certify they will not boycott Israel. Most existing state anti-BDS measures require pledge forms that contractors must sign as a condition for winning or renewing contracts. In 2017 Cardin co-sponsored legislation seeking to amend a swath of U.S. laws to outlaw boycotts of Israel. That earlier “Israel Anti-Boycott Act” legislation was also broadly unpopular. 69% of Americans opposed its harsh individual penalties which could have fined Americans up to $1 million or jailed them for up to 20 years. The earlier version also clumsily inserted Israel into laws authorizing US national and economic emergency response. Updates have been added to the end of this article. On Sunday, journalist Glenn Greenwaldhighlighted a news story about how Republican House leader Kevin McCarthy wants to punish Omar, and fellow Congresswoman Rashida Tlaib, for their criticisms of Israel.
.@IlhanMN and @sarahleah1 are just the tip of the iceberg- Left Wing anti semitism is on the rise , and not only in the U.S. . All forms of #antisemitism should be strongly and immediately combatted , before they become acceptable. Israel does not represent all Jews. It’s pathetic that an opinion editor for a major Jewish newspaper either A) doesn’t understand that’s an anti-semitic trope, or B) is advancing the trope to smear a critic of Israel’s over-sized influence in US politics. 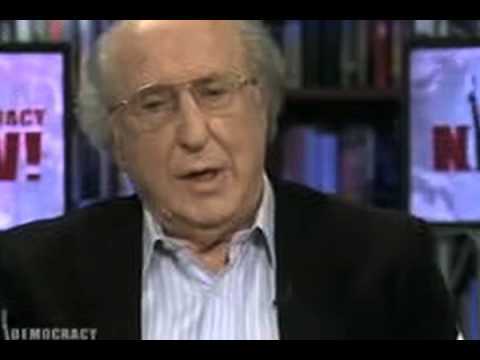 Democracy Now!‘s Nermeen Shaikh and I sat down with Henry Siegman on Tuesday. I asked him about Israeli Prime Minister Benjamin Netanyahu’s claim that Israel is just responding to the thousands of rockets that Hamas and other groups are firing from Gaza. HENRY SIEGMAN: He obviously believes that a one-state—well, I said earlier in our conversation that he never meant—when he said in his Bar-Ilan speech that he embraces a two-state, that was totally contrived. It was dishonest. Or, in simple English, he lied. And I appreciated the fact that several weeks ago, two weeks ago, he had a press conference in which he said—he didn’t say, “I lied,” but he said, “There will never be a truly sovereign Palestinian state anywhere in Palestine.” So, it’s quite clear now, and one of his friends, the former editor of The Jerusalem Post, who now edits The Times of Israel, had this big headline: “Finally, Now We Know It.” We know he never meant it. He didn’t say this critically; he said this positively. “Finally, he’s back in the fold, and we know he will never allow a sovereign Palestinian state.” Now, what will he do with a majority Arab population? He will do what the head of HaBayit HaYehudi, Bennett, has been advocating and proposed. AMY GOODMAN: Henry Siegman, president of the U.S./Middle East Project, former head of the American Jewish Congress and the Synagogue Council of America, recently wrote a piece for Politico headlined “Israel Provoked This War.” Visit democracynow.org for part one of our conversation with Henry Siegman. This is Democracy Now! When we come back, Iron Dome or Iron Sieve? How effective is the Iron Dome that Israel has touted? Stay with us. Most people today who are either brainwashed or biased are quick to scream “antisemite”at anyone who criticizes Israel in just the slightest bit, heck there are even federal lawsbeing pushed through right now that will criminalize criticizing or boycotting Israel. But the truth of the matter is that most of the wars in the middle east, that thousands of US soldiers have died in, were for Israel and only Israel. Trump has finally admitted this publicly in his recent interview prior to the Super Bowl. Do we have to get into the clean break memo, the PNAC think-tank, Israel providing uswith all of the unverified “intelligence” that said that Iraq and Afghanistan had “weapons of mass destruction,” which led to the most expensive war in US history? How much more do you actually need before you stop screaming “antisemite” at every criticism of a country we have given thousands of gallons of blood for, for nothing in return? The office of Nazi Prime Minister Benjamin Naziyahu yesterday leaked a video of a speech made by Saudi Foreign Minister Adel al-Jubeir behind closed doors during this week’s Warsaw Conference. During video – which was likely taken by a mobile camera – Zio-Wahhabi and Saudi ‘first Gay’ * Al-Jubeir said that the “destabilising activities of Iran makes it difficult to organise the region,” the New Khalij reported. The Saudi official said that Iran’s handover of ballistic missiles to “terrorist groups is unacceptable,” noting that the Iranian-backed Houthi rebels in Yemen had launched more than 200 missiles towards Saudi Arabia. Meanwhile, Bahraini Foreign Minister Zionist puppet Khalid Bin Ahmed al-Khalifa said that facing the “Iranian threat” is “more dangerous and important than the Palestinian cause at the moment”. The Detainees and Ex-Detainees Committee, said in a report published on Sunday, that 85 percent of Palestinians who were killed by Nazi regime since the beginning of 2015; 179 Palestinians, were killed in extrajudicial field executions. It maintained that Nazi forces executed Palestinians in ‘cold-blood’ and on the grounds of mere suspicion, maintaining that forces acted as both judges and executioners. The committee noted that based on a series of documented and publicized incidents, the majority of Palestinians, who assaulted Nazi regime or were suspected of doing so, were executed by Nazi forces despite that fact that they posed no immediate danger to the latter’s lives, stressing that forces could have restrained and detained them instead. It described Nazi politicians’ calls to kill Palestinians instead of detaining them, as a ‘war crime’, and intentional extrajudicial murders; which it affirmed, violates principles of the Universal Declaration of Human Rights, the four Geneva Conventions, and the Rome Statute of the International Criminal Court. The committee noted that the Nazi regime have not conducted any criminal investigations against soldiers who intentionally killed Palestinians, citing an incident where Nazi sniper was praised for killing a number of Palestinians near Gush Etzion settlement bloc in Hebron. It further pointed to previous remarks made by Nazi minister of cultural, in which he called to change the open fire regulations and for the field execution of Palestinians. “Politicians and senior police officials urged citizens to carry weapons and to shoot to kill. As a result, there were several instances of shooting in breach of the regulations, and innocent people lost their lives,” said the 2015 annual report published by the Association for Civil Rights in ‘Israel’ (ACRI).